Romo is a robot base on wheels. Romo gets his brain and face from an app running on a recent model of iPod Touch or iPhone. The Romo app has been updated with a new feature: telepresence. You can now remotely log in to Romo and control him from another device or a computer. It works like a phone call where someone with an invite to the Romo can dial in and be given control. This feature has quite a few interesting applications. "It's like Skype on wheels"
A more serious application would be enabling a family member who is in hospital to maintain a strong connection to home. This is a popular use for more expensive telepresence robots, but not everyone who would benefit from one can get access so Romo would be a more accessible option that could still make a big difference. I can imagine kids remotely playing with their friends, where one child builds an obstacle course and the other remotely gets Romo to traverse it. Remote Romo crazy golf would be fun too! And my son would love to give someone a tour of one of his LEGO creations, "and if you come round here you can see the trap door ...". Of course there are privacy considerations here. I think you need to train your kids to make sure that everyone in the house knows when someone else is controlling Romo. But we're going to have to adapt to technology like this. 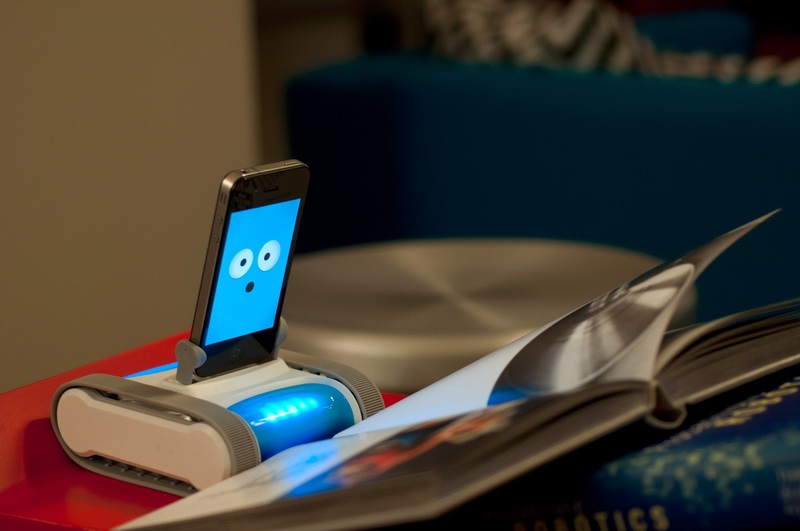 Telepresence is just the latest feature for the Romo robot. He started out as a Kickstarter project and he's now generally available to order. Romotive have some interesting plans for Romo including using him to teach kids to code via a colorful and graphical programming app. This could be a nice way to get kids started with coding before they move on to a BrickPi, Sparki or LEGO Mindstorms EV3 kit. The Mi Band 2 Fitness Tracker - Can Kids Use It?